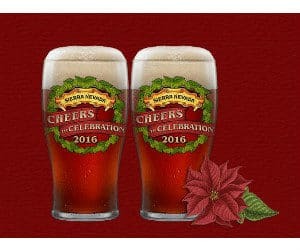 Hurry Before You Miss These FREE Sierra Nevada Beer Glasses For The Holidays! How would you like to receive two completely FREE beer glasses this holiday season? If you are 21 years of age or older, you can take advantage of this awesome offer for two FREE holiday glasses from Sierra Nevada! In order to get your FREE tulip pint glasses, you must first enter your birth date on the Sierra Nevada website. Then, scroll down and click on the ‘Cheers to Celebration’ section. Next, you need to upload a photo of a holiday celebration that you have taken part in where everyone is saying ‘cheers’ or just enjoying a good beer! Then, complete the info form and be sure to enter your contact information as well as your mailing information. Shipping is also FREE, so you will pay absolutely nothing to get these awesome glasses. After you submit your request, you can expect to receive your tulip holiday glasses in the mail (either in your mailbox or right at your front door) within several weeks to a month. Please note, quantities of the glasses are very limited! Don’t wait too long to take advantage of this great freebie offer. It will disappear before you know it! Have a happy holiday season, and enjoy your freebie! Request Your FREE Sample Offer from Hex Condom! You can currently request a FREE sample of Lelo Hex condoms, an innovative new type of condom. To get your FREE condoms sample, just register to receive the FREE newsletter from Lelo and enter your mailing info. Once you submit your request, your condom samples should arrive in your mailbox within several weeks. If your relationship has hit a rough patch, you are not alone! Many couples go through difficult times. Right now, you can download or request a FREE sample of the Relationship Repair Game. 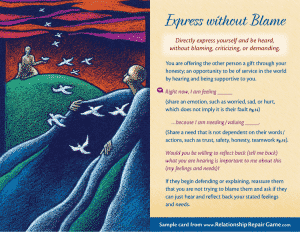 You will receive 4 samples Relationship Repair cards. If you want a hard copy of the sample Relationship Repair Game cards, just submit your request and provide your address. Your card should arrive within 6 to 8 weeks. You can currently request a Tena FREE sample of personal care incontinence pads, guards, and adult diapers. To get your FREE sample kit, answer a few questions. Then, select the sample pack that best suits your needs. You must create a FREE account to get your sample kit. Once you have created an account, you can enter your mailing information and submit your sample request. If you or someone you know plans to drink over the holidays, keep Operation Tipsy Tow in mind! If you live in Anchorage, Alaska or various locations in Montana, you can take advantage of this offer for a FREE AAA tow. Other areas of the country also offer a FREE tow and/or ride to individuals who do not feel they are safe to drive. This FREE service is available at no cost to both AAA members and nonmembers. It is available through January 3 at 8:00 AM. Print Out A FREE Star Wars Book Full of Activities!! 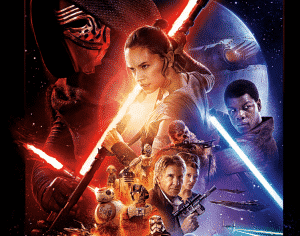 If your children (or other family members) are huge Star Wars fans, check out this freebie! You can print out a FREE 22 page Star Wars book chock full of AWESOME activities. The activity book contains printable door hangers, Star Wars characters coloring pages, memory games, and more! This could provide great entertainment as you travel for the holidays! 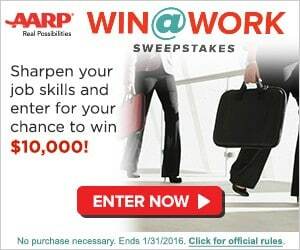 If you are 45 or older, you can enter the Win At Work sweepstakes from AARP! The grand prize for this AARP sweepstakes is $10,000! By entering, you also have a chance to win a $25 VISA gift card each day! 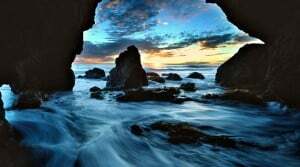 Additionally, you will receive wellness tips from AARP. You must be a resident of the United States to enter this sweepstakes. Adults and children can compete in Star Wars game play to receive FREE medals! If you participate in the Endor Battle, you can get your medal on November 20 or November 21. If you participate in the Yavin Battle, you can get your medal on December 4 or 5. 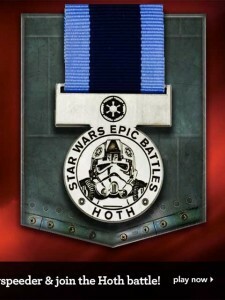 If you participate in the Tatooine Battle (the final battle), you can get your medal on December 26. Parents are required to supervise child participants. For more information, visit the Toys R Us website. If you are 62 or over, you can claim FREE lifetime national park passes! You can claim your lifetime access voucher on or before October 8. The voucher will give you FREE access to over 400 National Parks! These freebie vouchers are limited, so claim yours today! You must take your voucher to a participating National Park on October 8 (Senior Skip Day). When you turn in your voucher, you will receive your FREE lifetime national park passes! 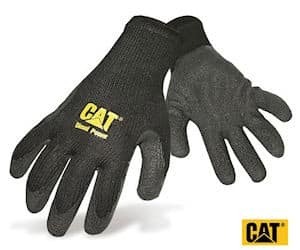 How would you like a pair of FREE CAT work gloves? Right now, you can nab this FREE offer which is a $40 value! To get your CAT work gloves, just fill in the form. It might take a few minutes to complete, but we think it is worth it to get your FREE gloves!